A tap on your smartphone and you’ll have access to hundreds of apps related to health and nutrition. Studies even back the effectiveness of these apps. 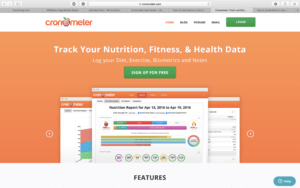 In this article, we will review the popular health and nutrition app – Cronometer. Cronometer is an app that allows users to personalize their health, fitness, and nutrition by adding the data related to their exercise, diet, and biometrics. It is available on iOS and the Android platform. Keeping your calories in check means you have to induce into a proper diet. It can be a challenging task to keep a track of your calories intake on a daily basis. This is when a health app like Cronometer comes in handy. Set up your custom profile first after downloading the app. Enter some basic details such as age, gender, weight, and height. This will allow you to calculate your Body Mass Index (BMI) and Basal Metabolic Rate (BMR). Every individual has specific calorie needs to fuel its metabolism. By placing details in the Cronometer app you can easily set up your nutrients and micronutrients required by the body. Also, you can indicate whether your target is to shed excess body weight and how much. The app will calculate the optimal weight loss or gain as per each profile to present your progress. 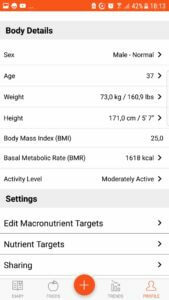 Cronometer count keeps a log of your regular calories consumed where your targeted daily percentage will be mentioned as well. Based on your weight goal, the app gives you an idea whether you need to burn more calories or eat more foods. A comprehensive Cronometer review aims to provide a better insight into its other useful feature. 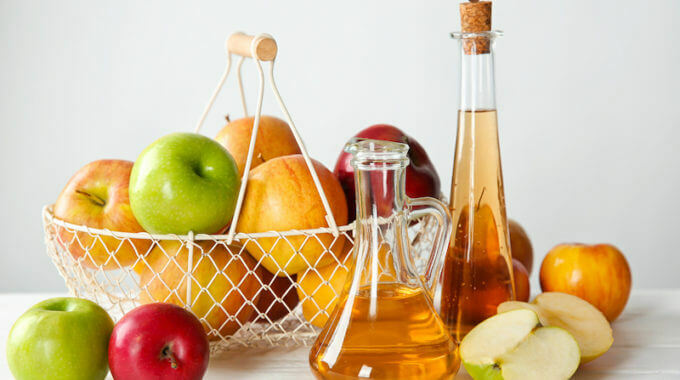 One such an outstanding inclusion to a health watcher’s arsenal is the Cronometer calories counter that break down the percentage of calories in carbohydrate, protein, and fat. Log the exercise type and its duration to track how much calories you’ve lost after each session. This will help you to keep a check on your progress in your journey towards health and weight loss. The feature allows you to search for foods in the database. 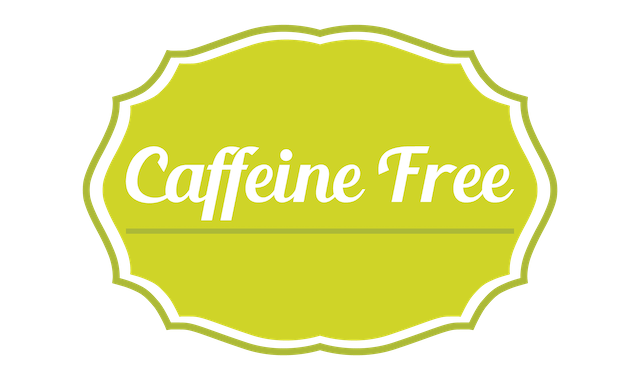 The huge database comprises the whole, organic, generic, supplements, and branded foods. Also, you can enter your own food logs, set custom recipes, and even scan for product barcodes. Get access to over 70 micronutrients based on your target percentages. Log your weight and nutrients for a given period of time and make adjustments based on the report. The cronometer review provides an insight into two of its versions – the free app and the gold subscription. 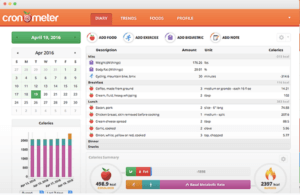 Using the free version, you can obtain enough features to track your calories as well as micronutrient intake. Here, the activity tracking is limited to two categories only – resistance and circuit training. The gold version unlocks more diet features – breakfast, lunch, snacks, and dinner. Choose from various types of exercises to fit your plan. You can also make a note of any incorrect or misleading information regarding various products in the app. 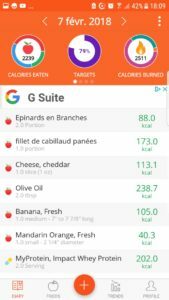 Finally, whether you choose the free or gold version, Cronometer app offers useful features that can help you plan your diet and keep track of the calories intake along with micronutrients. The Cronometer app is a great start for those looking to achieve their health and fitness goals. What about you? 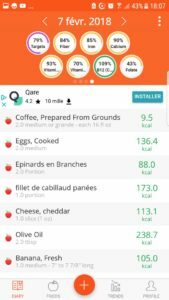 Do you use any health app to track your diet and health? Feel free to share your favorite apps in the comment section below. And if you find this review useful, please give it a like or a share. next post: What Is The Best Glutamine Supplement of 2019?